With the phrase “Arise Sir Sidney,” the Queen presumably bade Sidney Nolan to his feet upon knighting him in 1981 – her words echoing in a sense what his many followers have wondered of him for decades: will the real Sidney Nolan please stand up. The sheer volume of his works, the intensity of their themes with their national, cultural and mythological significance, his desertion from the army, his absence from Australia, his British knighthood, his unparalleled successes, his loves and his famous fallings-out – all this is the stuff of legend. And made a legend of Nolan his many cataloguers, curators, historians, gallerists and enthusiastic journalists certainly have. 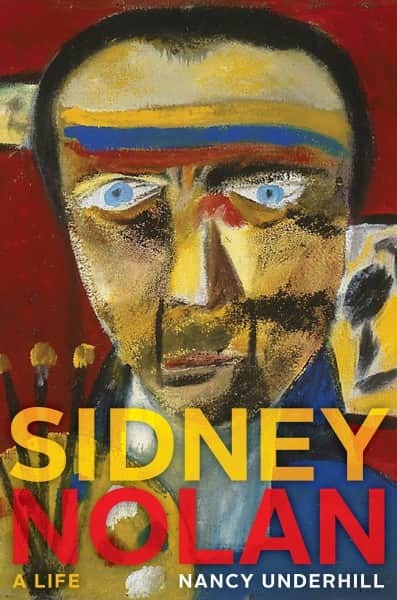 In all this it has seemed difficult for scholars to find the real Sidney Nolan – perhaps for the very good reason, as those who knew him well will say, that there was more than one Sid and he did his best, usually with success, to disguise them all. It is therefore with great anticipation we await Nancy Underhill’s new biography Sidney Nolan: a life, due for for release by NewSouth in May/June 2015. Underhill is pre-eminent among Nolan researchers and scholars, and suited to write Nolan’s biography as no other. The vast extent of her Nolan scholarship is already evident in a superb gathering of Nolan’s own comments in her classic 2007 text Nolan on Nolan. Collegiate in her approach and acknowledged and respected by her peers, with her unparalleled knowledge of Nolan’s life and work she will bring to this endeavour a personal perspective of the man she knew, of his milieu, of his output, and of his legacy. The book is timely. To be published barely two years short of his centenary, Sidney Nolan: a life will likely be seen as his first authoritative biography. Although written about in countless monographs, catalogue essays, journals and newspaper articles etc – the only other biography as such, Brian Adams’ Such is Life from 1987, is seen to be hagiographic although useful to learn how Nolan himself wished to be remembered. Adams’ 2014 rewrite Sidney Nolan’s Odyssey is little different.